Planning to experience the Great Smoky Mountains in June, July, or August? You're in for a real treat! Summer is an excellent time to experience the Great Smoky Mountains National Park (GSMNP) near Pigeon Forge and Gatlinburg, TN! With stunning mountain forests in full bloom and lots of warm, sunny weather, summer is definitely one of the most popular seasons for visiting the Smokies. To get the most out of your summer getaway to America's most visited national park, use this guide of the top 10 things to do in the Great Smoky Mountains National Park in the summer! Summer brings lots of warm summer days to the Smoky Mountains, so it's the perfect time to go for a refreshing swim! Even on the hottest summer days, the streams and rivers in the Smokies stay at a refreshing temperature, since they are fed by nearby springs. Many of the waterways in the Smokies are too shallow for swimming, but there are several popular swimming holes that are perfect for taking a refreshing dip! 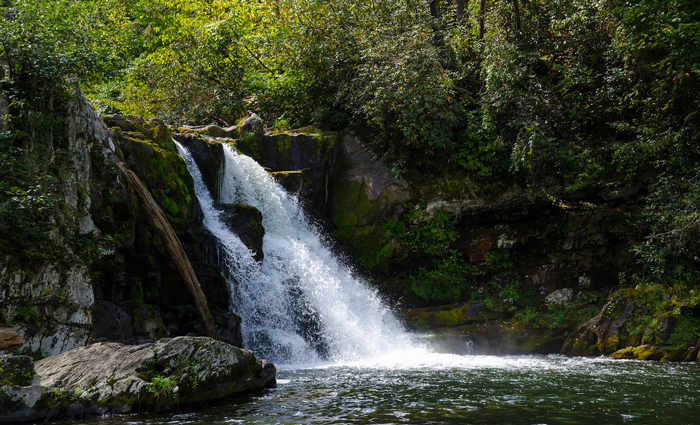 Check out this guide for more on the top swimming holes in the Smokies. By doing a little bit of walking, you can often find your own private swimming hole in the mountains. The Little River Trail in Elkmont, The Middle Prong Trail in Tremont, and the Greenbrier Entrance Road area are known for having several smaller swimming holes that you can enjoy in privacy. Simply find a good parking spot on the roadside and wade into the cool mountain water. When enjoying the rivers, streams, and waterfalls of the Smokies, be sure to exercise the utmost in caution. The National Park service offers this excellent guide to staying safe at swimming holes. Though not technically inside the national park, there are several whitewater rafting outfitters located just outside of the Smokies. 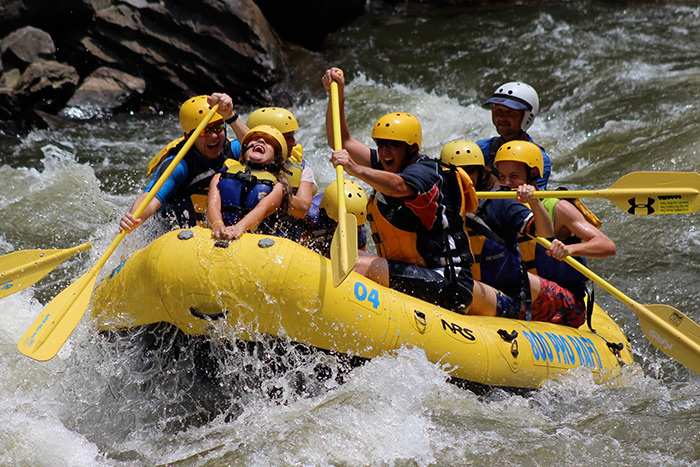 Better yet, summer is one of the most reliable times to go whitewater rafting in the Smoky Mountains, since there are regularly scheduled dam releases on the Little Pigeon River. This excellent whitewater destination has 12 total Class III and Class IV rapids with memorable names like Double Reactionary, Rock & Roll, Powerhouse, and Snap Dragon. For younger children, the Upper Pigeon River is ideal for an introduction to whitewater rafting. If you want more of a thrill, be sure to book a tour on the Lower Pigeon River. Many whitewater outfitters also offer zip lines and other outdoor activities to enjoy during your visit! Some of the most popular destinations in the Great Smoky Mountains National Park are its impressive waterfalls. Better yet, summer is the perfect time to visit the stunning waterfalls of the Smokies! After all, the cool mist from the falls and naturally shady locations create excellent places to cool off on warm, summer days. If you want to see beautiful waterfalls without hiking, we recommend checking out these excellent roadside waterfalls in the national park. The Roaring Fork Motor Trail is a popular region for viewing waterfalls and several lovely cascades. One of the most relaxing things to do in the Smoky Mountains is to go tubing on the Little Pigeon River in Townsend. There are several tubing outfitters that offer shuttles and tubes so you can enjoy a relaxing float on the pristine mountain water. The tubing trip begins near the Townsend Entrance of the national park. Along the way, you'll enjoy several sections of fun rapids, private beaches, and a rock jump. An average trip time is about 2 hours, but the duration of your tubing trip can depend on water levels. 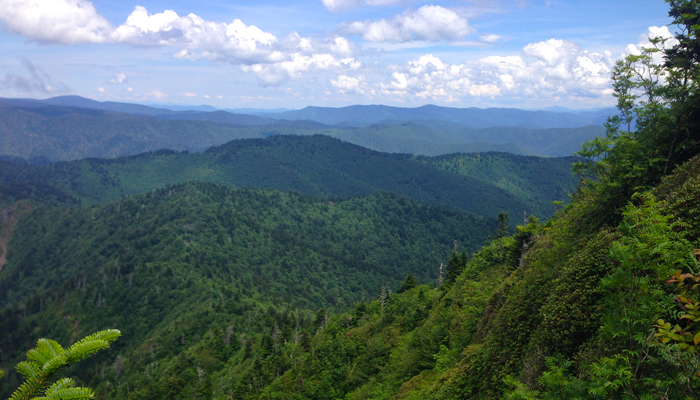 While most of the Southeastern US is warm and muggy during the summer months, the tallest peaks in the Smoky Mountains are cool and comfortable. On a warm summer day in Pigeon Forge, you can simply drive high into the mountains to Newfound Gap or Clingmans Dome to enjoy temperatures that are 10°F or 15°F cooler than in the valleys below. After all, these parts of the park are over 5,000 ft. above sea level and they feature a unique high elevation Spruce-Fir forest that's adapted to this cooler, wetter climate. Better yet, these destinations offer several overlooks with excellent mountain views. 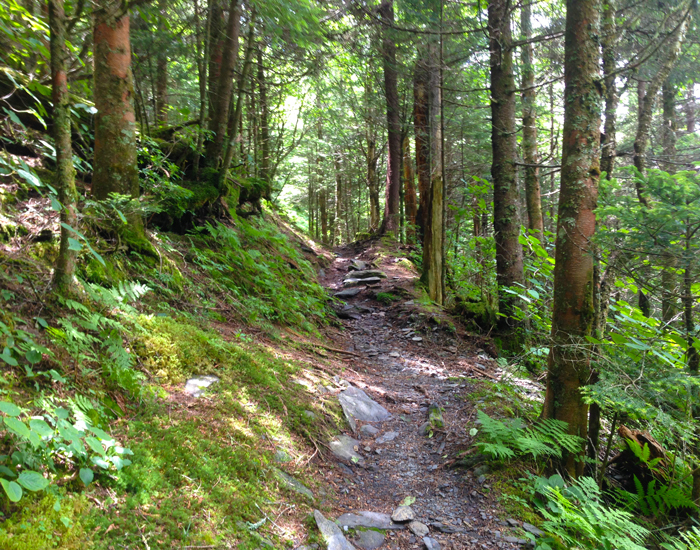 The Andrews Bald Trail, Clingmans Dome Trail, and the hike to the Jump Off are some excellent high elevation summertime hikes to enjoy in the Smokies. 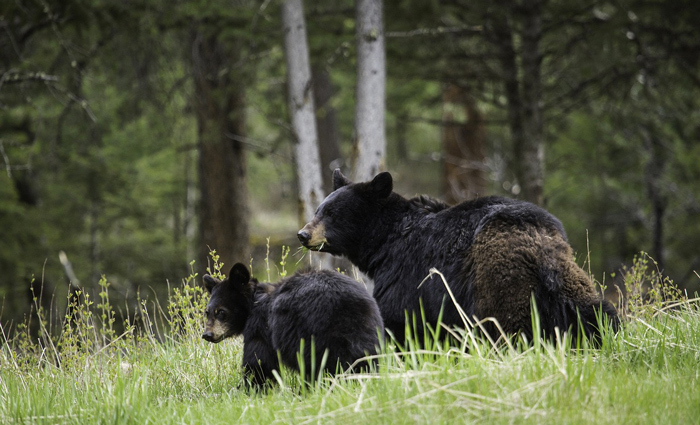 Wildlife is especially active during the warm summer months, so it’s the perfect time to see bears, deer, turkey, and elk in the national park. The 11-mile Cades Cove Loop Road is a prime place to view bears and deer in the Smokies and the scenic Cataloochee Valley area is home to a wild elk herd. If you're really lucky, you may even spy a bobcat, an illusive and rare resident of the national park. If you plan on viewing wildlife in the Smokies, you should know that most animals are most active during the early morning or the early evening hours. For your safety and to comply with laws, please do not approach or feed any wildlife in the park. Beyond large mammals, the Smokies are also a popular destination for birders and the national park is known for being the "salamander capital of the world" with over 30 species of salamanders. Be sure to bring a camera, since the Smoky Mountains are arguably one of the top destinations for viewing wildlife in the Southeastern US! While most visitors see Cades Cove in the national park from the comfort of their vehicle, why not bike the 11-mile loop road that skirts the valley's boundary. Along the way, you'll see beautiful mountain views and pass by several historic homes, churches, and farms from the cove's early residents. From May to September, the Cades Cove Loop Road is closed to vehicle traffic on Wednesdays and Saturdays before 10 AM. As a result, these mornings are the perfect time to bike the Cades Cove loop. You can rent bikes for an hourly rate at the Cades Cove Gift Shop before the entrance to the loop road. Summer in the Smoky Mountains is the perfect time to see the forest in full bloom and hiking is a perfect way to experience this region's beautiful diversity of life. 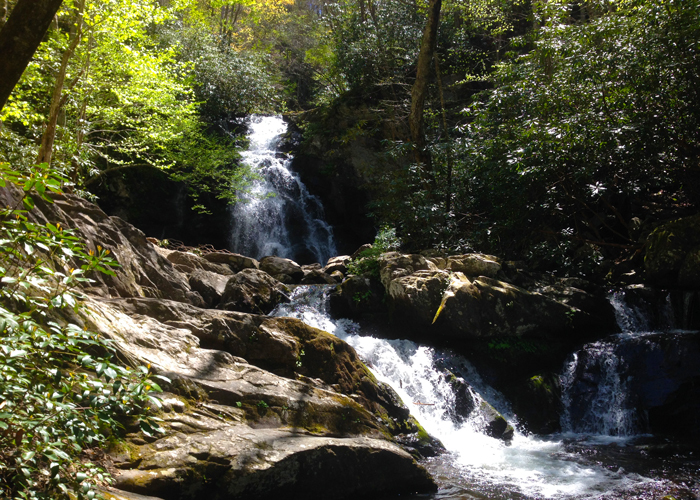 Hot weather can make long hikes more challenging, so we picked out some of the best short hikes to experience in the Smokies. If you're looking for hikes in the cooler, high elevation regions of the park, be sure to check out these popular trails. Summer is the perfect time to enjoy a picnic or cookout in the Great Smoky Mountains! There are several picnic areas in the national park that offer covered pavilions, charcoal grills, and bathroom facilities. Here are some of the best picnic spots in the Smokies! Many of these picnic areas are located close to beautiful streams or hiking trails, so you can truly enjoy the beauty of the Smoky Mountains during your picnic. Many visitors are especially fond of the Metcalf Bottoms picnic area, since it boasts a beautiful riverside location and it's also a short hike from the historic Walker Sister's Cabin. Looking for a truly unique summer activity in the Smokies? During the summer, the national park service offers guided night hikes in Cades Cove! Best of all, these safe, guided tours are free to enjoy, all you need to bring are closed toed shoes and a flashlight! The hike begins at the Cades Cove Orientation Shelter at the Entrance to the Cades Cove Loop Road and continues to Sparks Lane in the heart of the valley. Along the way, you'll learn about the nocturnal wildlife of Cades Cove. The guided hike lasts from 9:00 PM to 10:30 PM and it features an easy, paved trail. 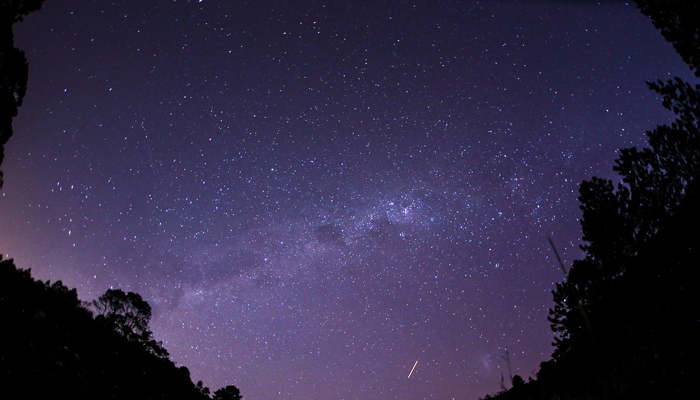 On a clear night, you'll be treated to a stunning, star-filled sky, since the Smokies are far from developed areas. With lots of beautiful, warm weather, summer is an excellent time to explore the natural wonders of the Great Smoky Mountains National Park. Whether you plan on going to a beautiful swimming hole or simply enjoying a fun summer cookout at a picnic area with your friends and family, there are lots of excellent ways to enjoy summer in the Smokies. Better yet, you can plan your own summer getaway to the mountains of Tennessee with one of our log cabin rentals! Find the perfect cabin for your summer vacation to Pigeon Forge or Gatlinburg, TN!